February 22nd is one of my favorite holidays. How can you go wrong with National Margarita Day? I have fond memories of bonding with friends over margaritas in Rochester, NY. When I was working nights as a hostess at Outback, my friend and I would often head across the street after we closed, to drink margaritas and play games with the boys. When friends come to town, we often seek out one of the fantastic local Mexican restaurants for fantastic food and, of course, margaritas. My birthday usually includes consumption of this titillating tequila beverage, as well, the bigger the better. Here is a picture of me at El Jimador in Farmington, New York a few years ago. 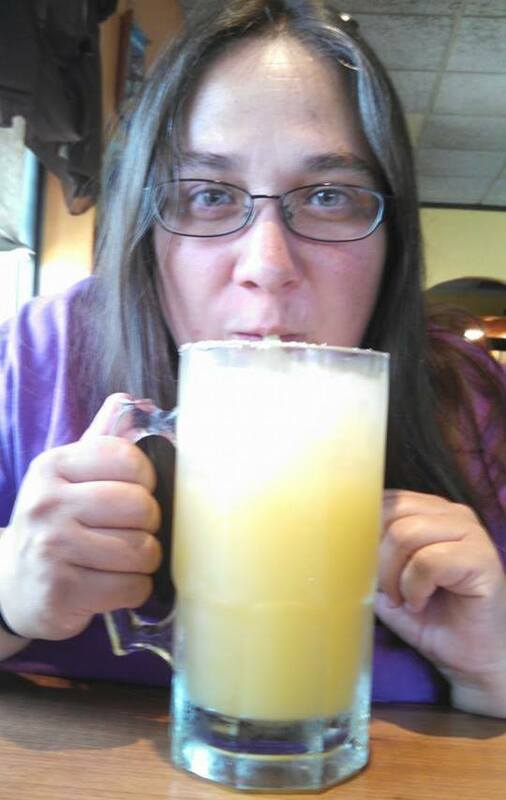 They have the biggest margaritas I have ever seen! We have a ton of great Mexican restaurants with great margaritas in Rochester, NY and surrounding areas. My favorite for their food is Monte Alban Mexican Grill. With three locations, I am never far from one. I have been known to nibble on their amazing food while drinking margaritas and reading books by my favorite authors. 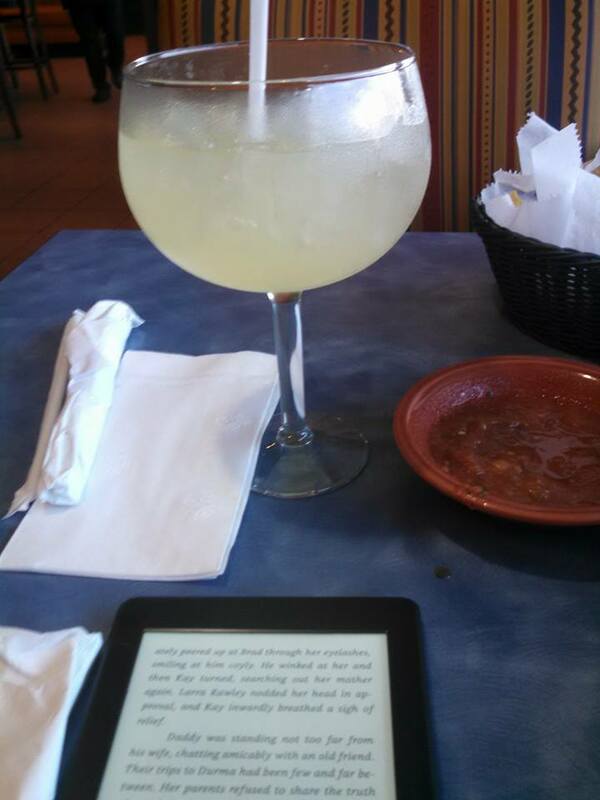 In fact, if you pay attention to books by Tawdra Kandle, you just may find a character named Andrea who loves to serve margaritas. We have other places with great margaritas. The ones at Maria’s Mexican in Webster, NY are so strong that they only allow each customer to have two. I have decided that my favorites are at Itacate in Penfield, NY. They are best enjoyed during Happy Hour, for a mere $3 apiece, while grazing on the buffet, hanging out with friends, and getting ready to listen to your friends’ band perform for the evening. We tend to enjoy a lot of them. The highlight of the evening is always when the boys play “Tequila” and we all sing along. What is it that I like the best about the margaritas in these last two places? 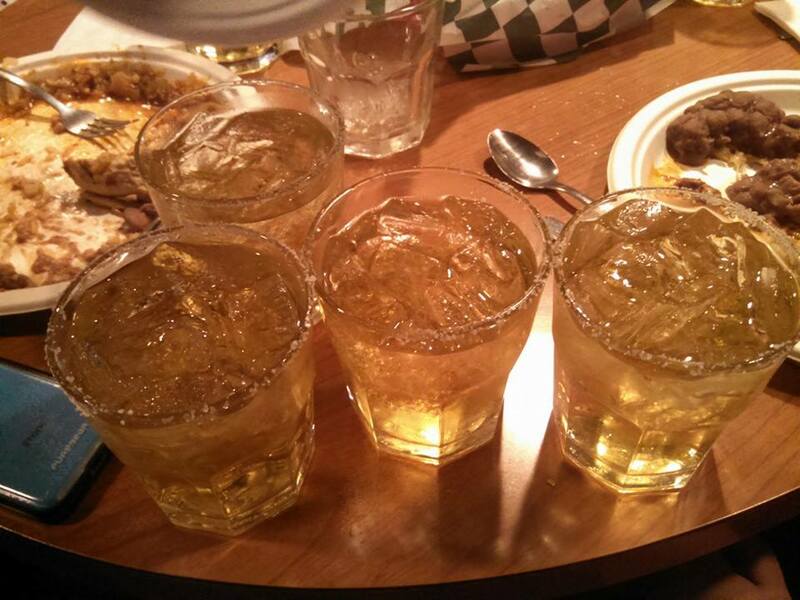 They don’t use sour mix. I am one of those people who has always loved the taste of tequila. I find that sour mix detracts from the tequila taste. Every once in a while, I find that the mix has a bit of a soapy taste to it. If I ever buy those premade margaritas, like the ones by Jose Cuervo and Chi-Chi’s, I usually end up adding a lot more tequila to them for that true tequila flavor that I crave. I know there are a lot of other places to get margaritas in Rochester, NY, but these are the ones I frequent the most. Where do you like to get margaritas where you live? What makes them so good?